My Latest Songbook Collection is Here! I am so happy to announce that as of today, my new songbook collection — Ring, Sing, Strum & Drum! — is available in its entirety. I have been working SO hard over the last couple of months writing and recording 12 brand-new songs that I think you will love and be able to use with your children, students, and/or clients. Purchasing the lead sheet and mp3s for each individual song would cost you $3 a pop; multiply that by 12 songs and you’re out $36. But since I’m all about sharing the love, I’ve priced Ring, Sing, Strum & Drum! at a mere $12. With just under a month remaining in the school year, it’s right about this time that your repertoire needs a boost — if you’re anything like me, that is. Whether you work as a music therapist in the classroom or one-on-one setting or you are a music educator, my newest creation might be just the boost you need. 2015 has proven itself to be the year of inspiration for me so far. I started it off with a brand-new podcast, then launched my first-ever songwriting challenge (still one day left to join! ), and most recently, I’ve been hard at work on a new songbook collection — the follow-up to 2013’s Tapping, Shaking Music Making! Ring, Sing, Strum & Drum! will contain 12 completely brand-new instrument songs for children, including the full and instrumental tracks as well as sheet music for each. The full collection will be released on May 5, BUT you can preorder your copy now and receive 3 of the songs immediately. I used my own music therapy instrument cabinet as inspiration, keeping in mind the instruments I use most often in my sessions, groups and classes. I’ve already put some of the songs to use with my own students, and I’m happy to report that they have been extremely well-received and effective. I sell single-song album downloads (which include the full track + instrumental + lead sheet) for $3 a pop, but this 12-song collection is priced at just $12. I hope you’ll consider adding it to your repertoire, and I appreciate your support in advance! Let me know if you have any questions, comments or feedback on the songbook collection so far. And thank you to those of you who have already placed your order…I can’t wait to share the rest of it with you in just a couple of weeks. I’ve been writing songs and sharing them on my blog since 2008, and those songs make up much of my early childhood music class curricula. 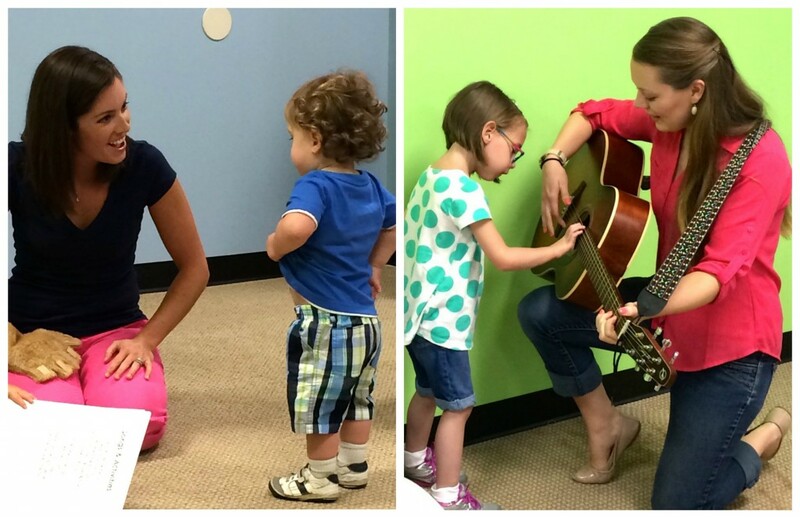 Last summer I partnered with a fellow music therapist, Katey Kamerad, and we have been collaborating to provide early childhood music programs ever since. No matter which category you fall under, Katey and I created a resource for you. We’ve taken the classes that have already been put into action here at our studio in Springfield, IL and packaged them up so that you can do the same. Facilitator Packages: All the tools you need to facilitate a 45-minute early childhood music class, developed by board-certified music therapists, in one downloadable file. Each package contains a guide with list of instruments, materials and instructions/suggestions for each song, as well as a lyric packet for participants, chords for the facilitator, and collection of mp3s. Song Mini-Packs: A collection of songs centered around one theme. Each song was written or adapted by us and utilized in our early childhood music classes. 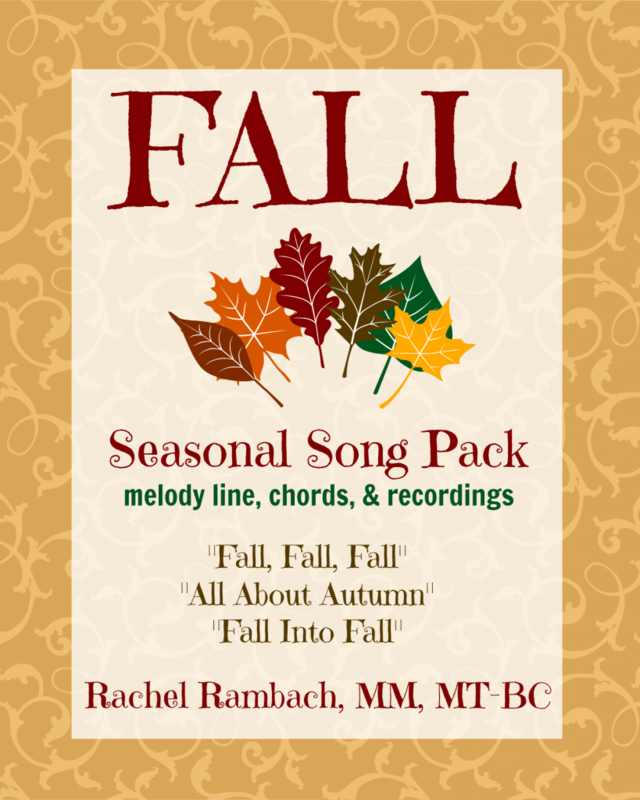 Mini-packs include an instructional guide, lyrics/chords, and mp3s. VIP Membership: Receive every product in our catalog, along with extra videos, songs, and downloadables, on a bi-weekly basis right in your inbox. And this is just a jumping off-point. We have lots of plans in the works for other resources and materials, and in the meantime will be sharing tips, techniques and tools regularly on the Listen & Learn for Leaders blog. So please head over to the brand-new site and take a look around. If you have feedback to share, we’d love to hear it! Thanks for all YOU do as a leader in the lives of children.